It is day 3 into our journey and we are starting to get a little tired. We haven’t had much sleep and been on the go for 15 hours a day. Day 3, we hope to take it a little bit slower. 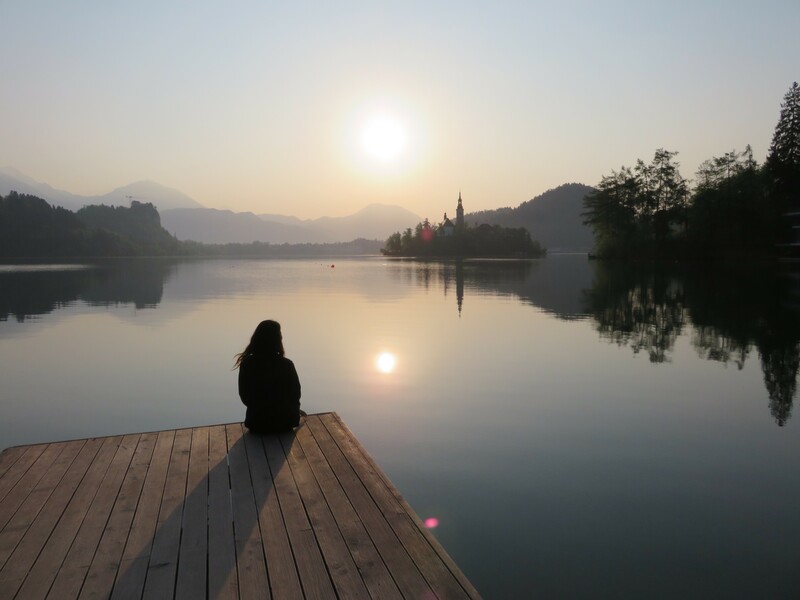 We started our day trying to catch the sun rise over Lake Bled. 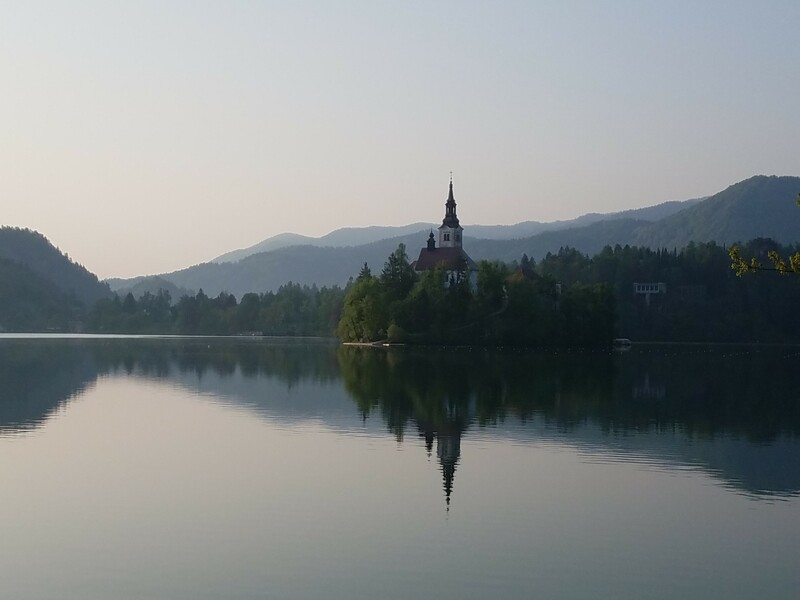 It was perhaps 6:30am when we made the 45 minute drive to lake bled. The drive to Bled was stunning with the mountains surrounding us. 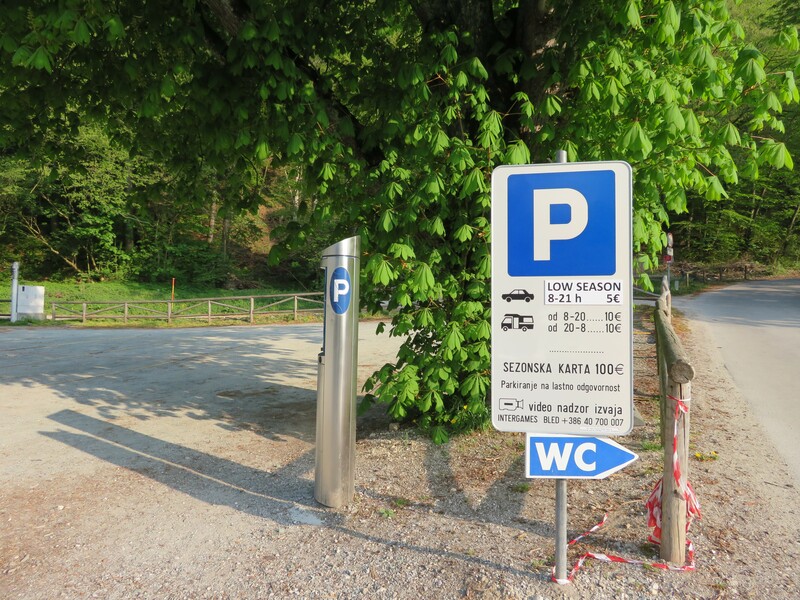 Once we arrived at Lake Bled, we parked in an all day lot. 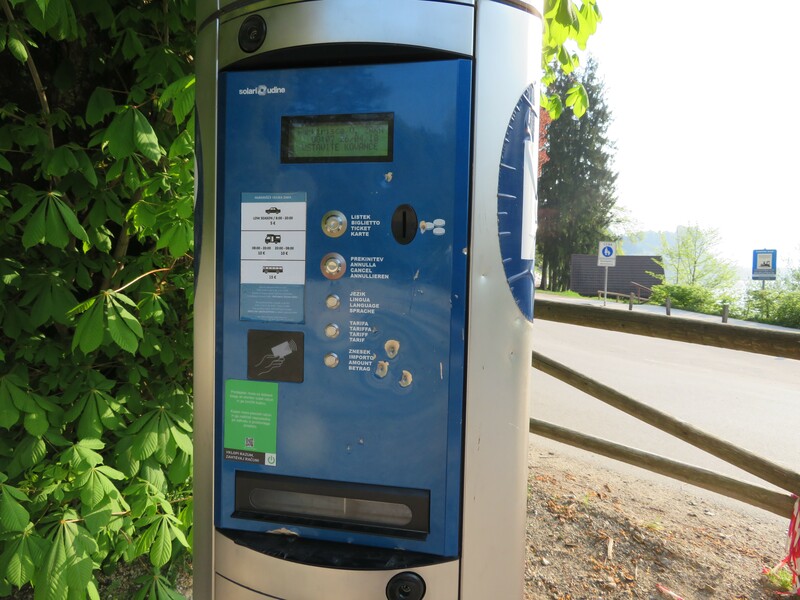 You can select the hourly pass for €2/hr or €5 for the full day. We selected the full day. We walked along the trail wrapped around the lake. I was hoping to take the pletna boat up to the church on the island but they didn’t run until 9am. We simply stroll and admired the lake. 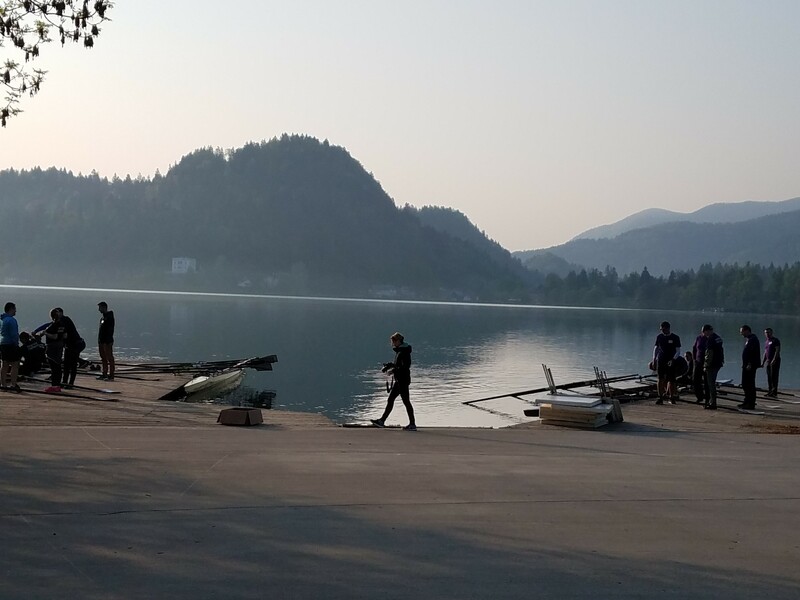 We came across the Slovenia Olympic rowing stadium where people can learn how to row on the lake. We admired them from a far before departing for breakfast. We drove around aimlessly to find a breakfast spot. There were a few around the lake but parking was scarce. There were bars serving nothing but drinks and panini. 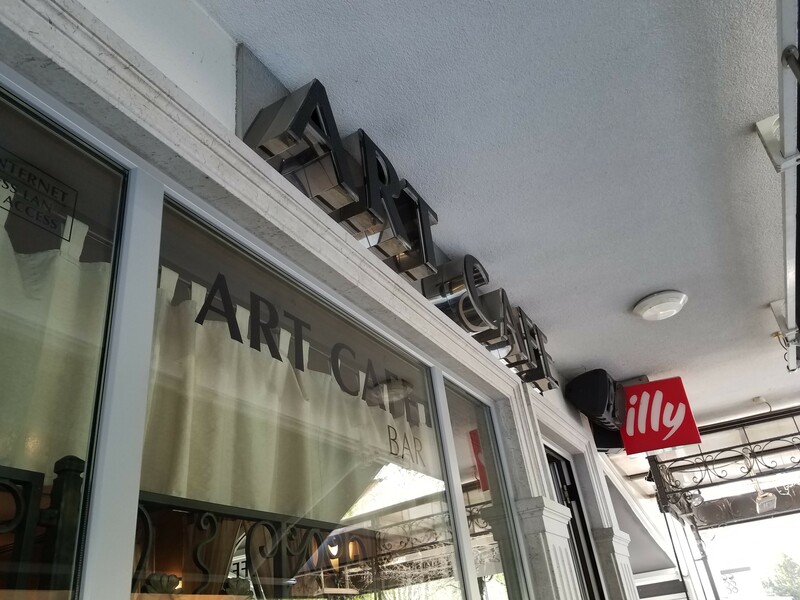 We finally came across the Art Cafe. 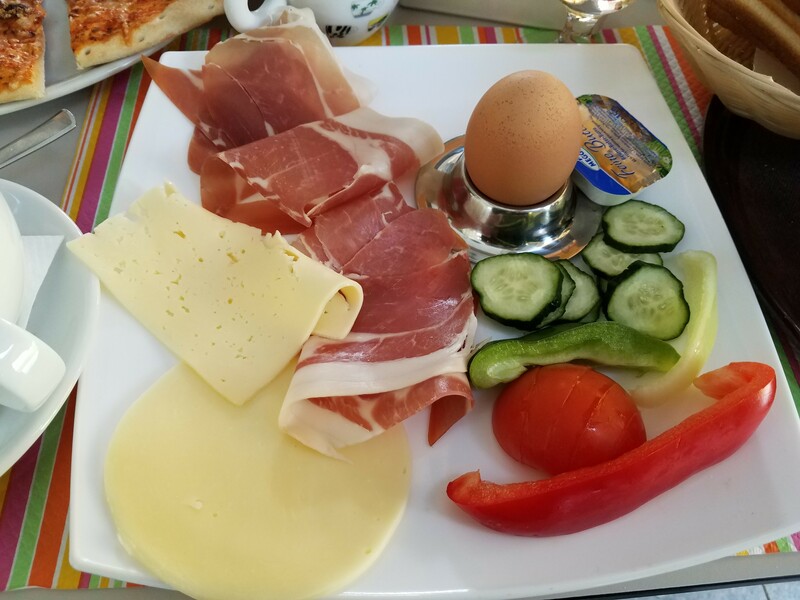 Slovenia doesn’t serve a breakfast that I’m typically accustomed too. 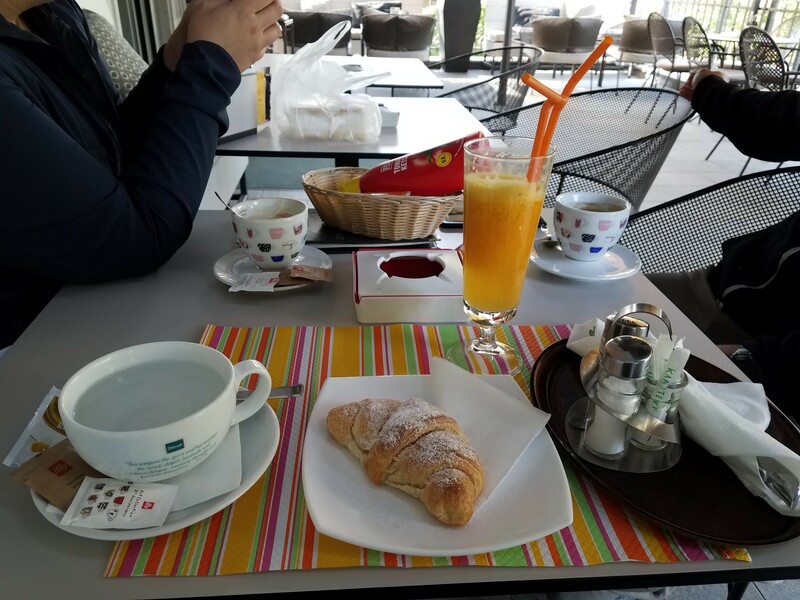 Most restaurants served croissants paired with fruits and coffee. I decided to ordered the full breakfast that came with freshly baked croissants, fruits, boiled egg. My friends ordered a margarita pizza. Everything was pretty dang tasty. After breakfast, we headed towards Vintgar Gorge but not before a quick stop at Bled Castle. 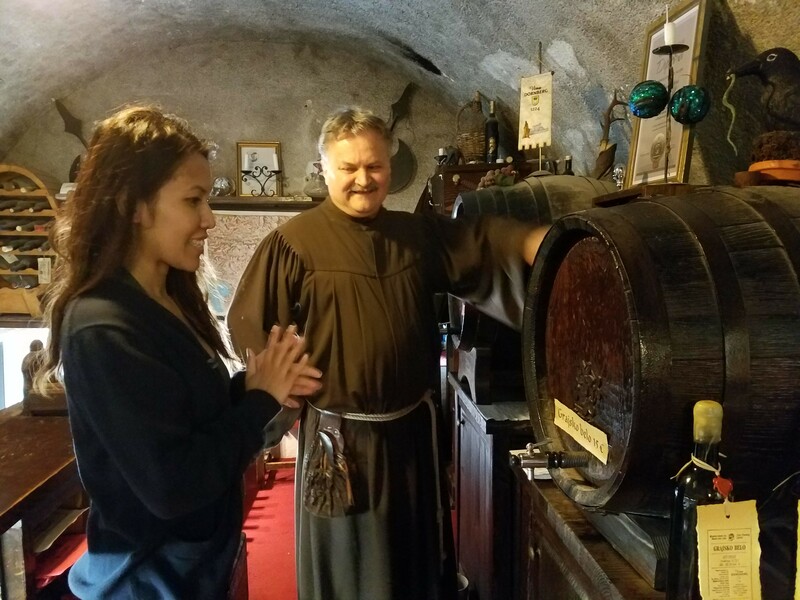 Our first stop at the Bled Castle was at a wine shop. I purchased a bottle of wine that I was able to bottled, corked, and labeled in just a few minutes. I’m not sure if the wine is very good but it made a good souvenir. From there, we headed to the observation deck. Bled Castle is definitely the best spot to view the Lake. We spent a few minutes enjoying the view. 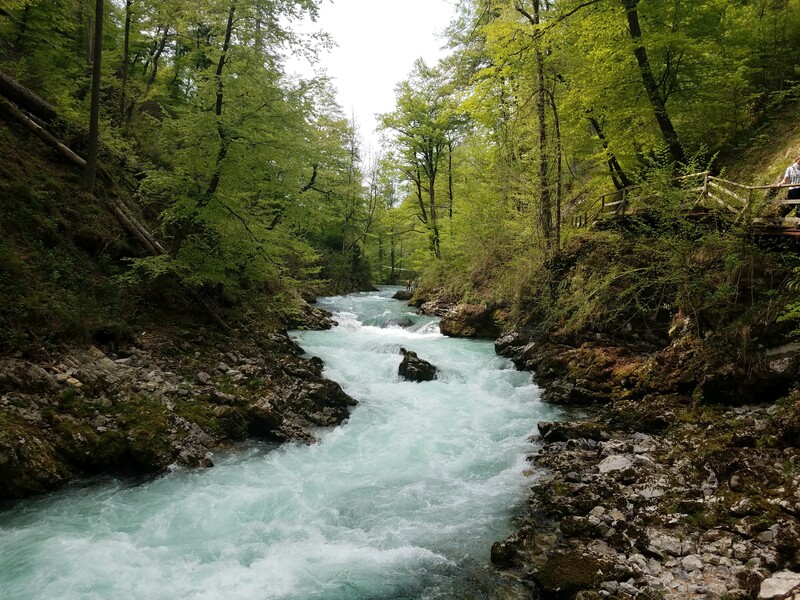 Vintgar Gorge is a hike that follows the saca river. We walked for a few minutes before seeing a construction crew blocking the way. They were repaving the walk way that goes along the river. They do have another walking trail that goes up the mountains away from the river. We walked for a bit before turning back. The view couldn’t compare to the view by the river. 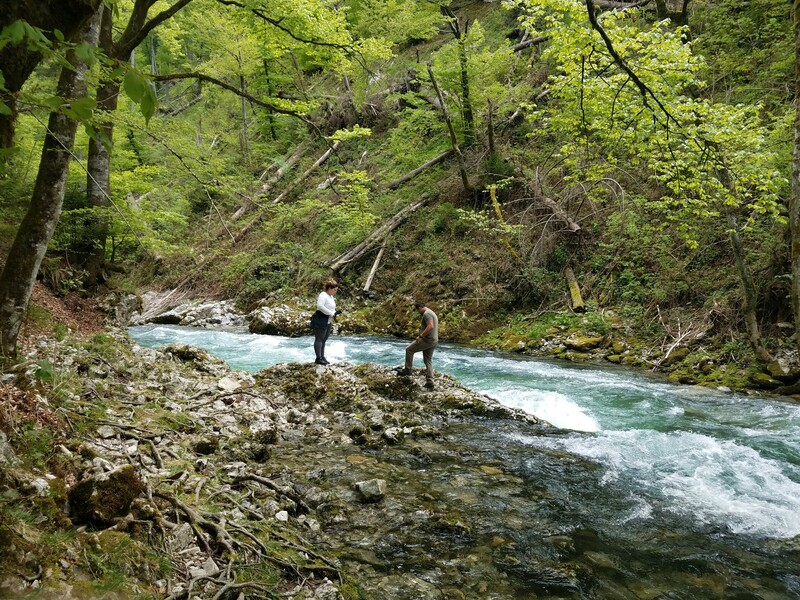 As of June 2018, the Vintgar Gorge is closed until further notice. Check their website for updates. 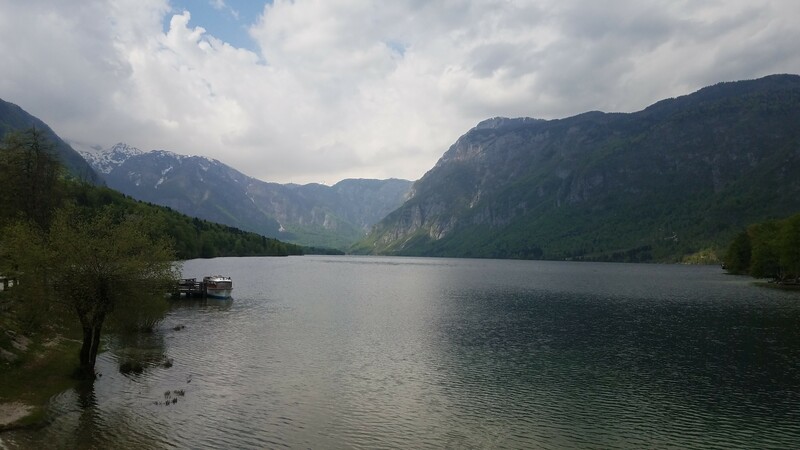 After a great disappointment, we drove over to Lake Bohinj. 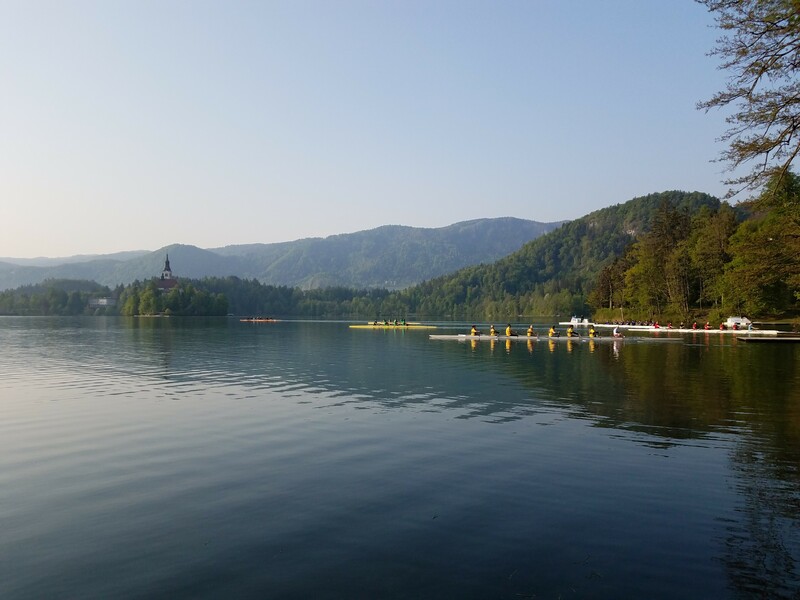 The lake wasn’t as touristy as Lake Bled. 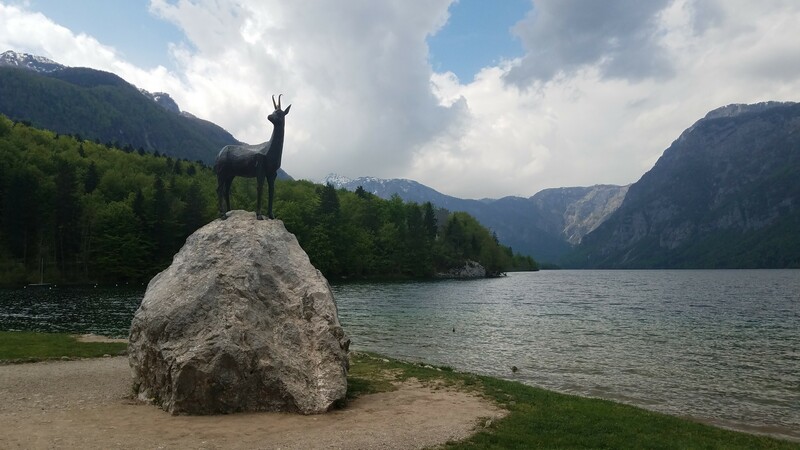 We parked right in front of Lake Bohinj, in front of the GoldenHorn statue. It is said that you will have good luck if you can climb up the goat and rub the horn. I tried to climb up but failed miserably. I should have asked for a boost. 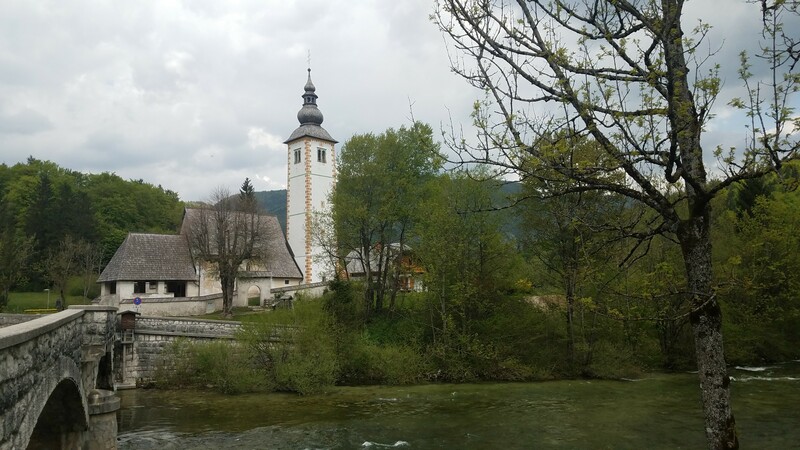 Unlike Lake Bled, Lake Bohinj had no walking trails. There were a few docks on site but most of the time, I’m walking on a vehicle road. 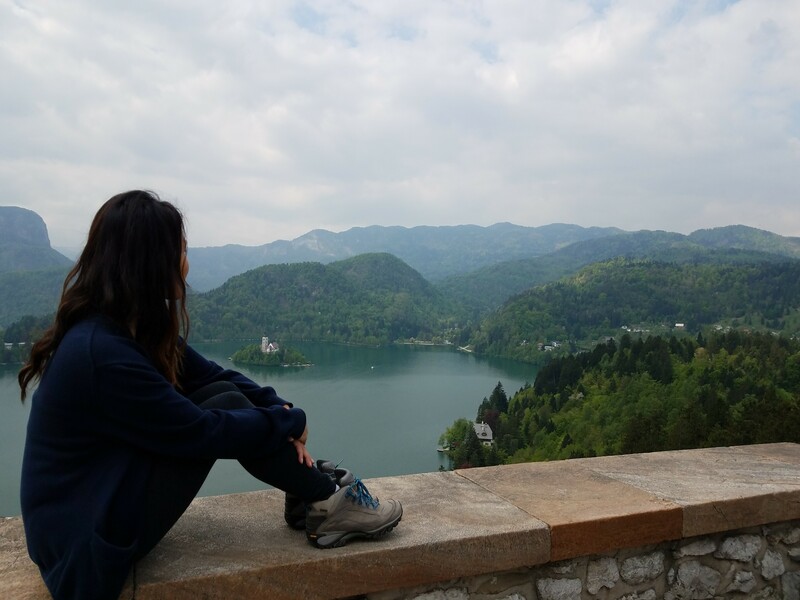 The view was definitely breathtaking but I prefer Lake Bled for their walking trail. 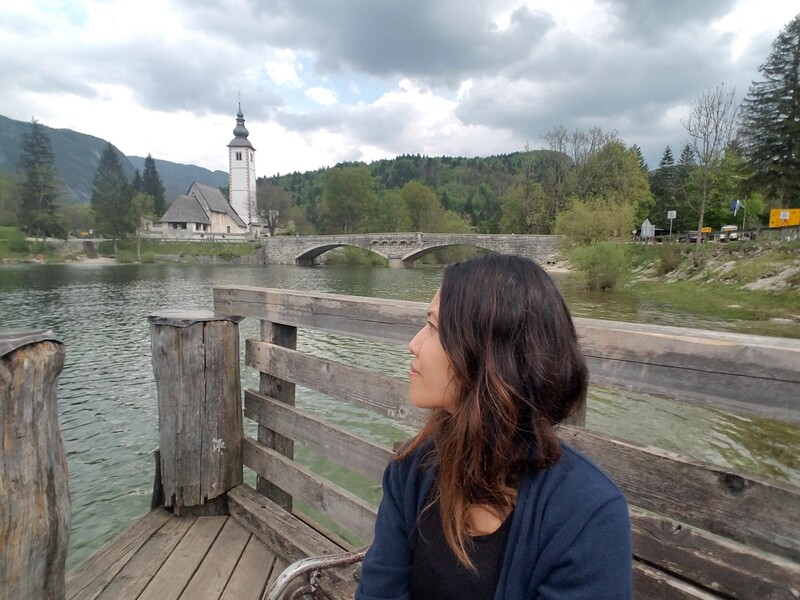 At Lake Bohinj there are many activities that you can do. There is an activity center located at the intersection by the GoldenHorn. You can go paragliding or take a boat out on the lake. 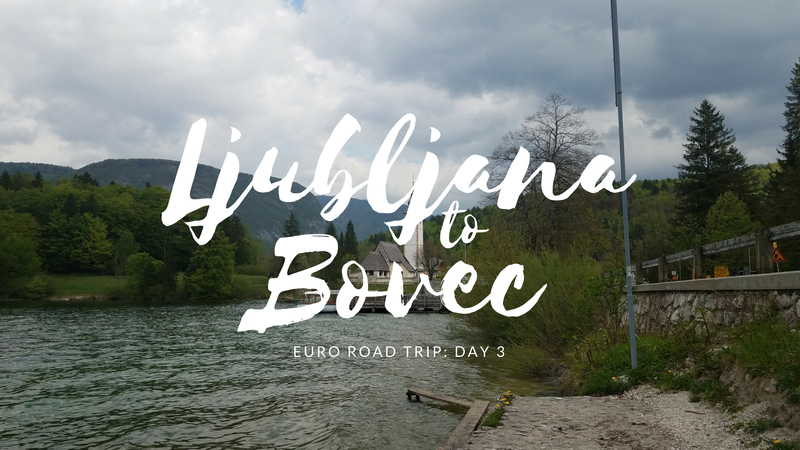 From the Lake, we drove 2 hours to our final stop of the day, Bovec. We started our day in Bovec right but doing some grocery shopping. The market was neat. Each produce had a number. 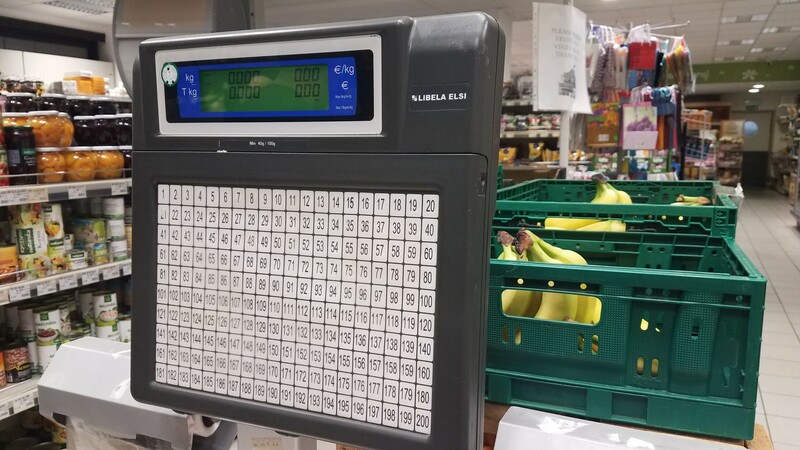 You pick up your produce, place it on a scale, and a price ticket prints out for you! Easy. 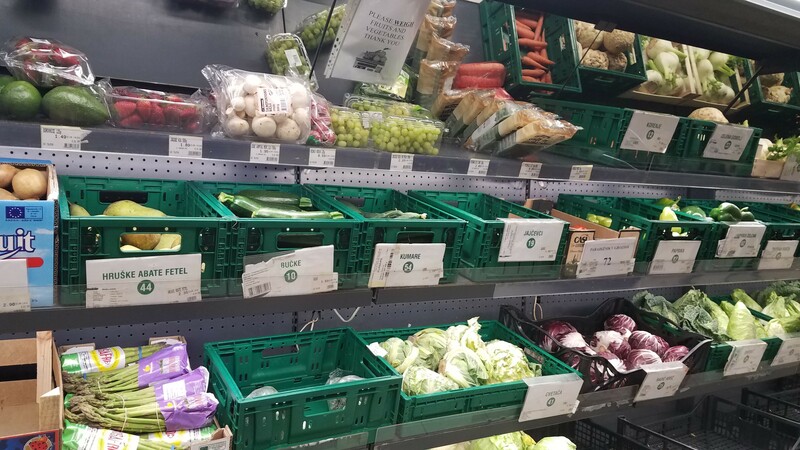 You automatically know how much your produce costs. We need to bring this back to the States! After grocery shopping, we went to Gostišče Martinov hram for dinner. 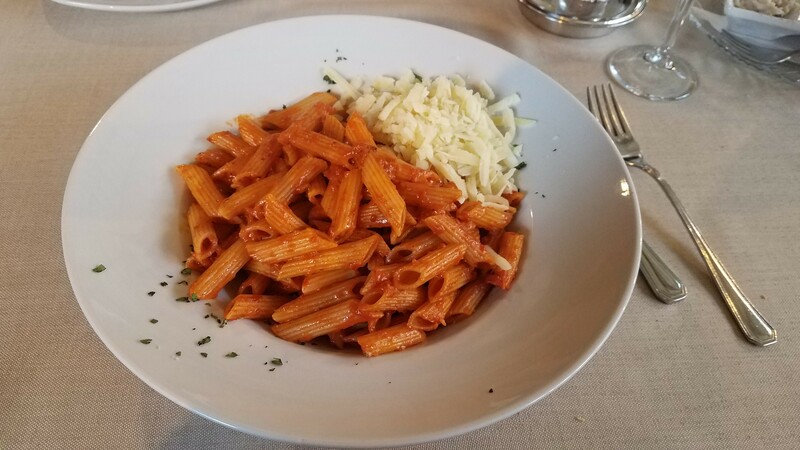 I ordered another pasta dish and we all took part in a champagne toast. 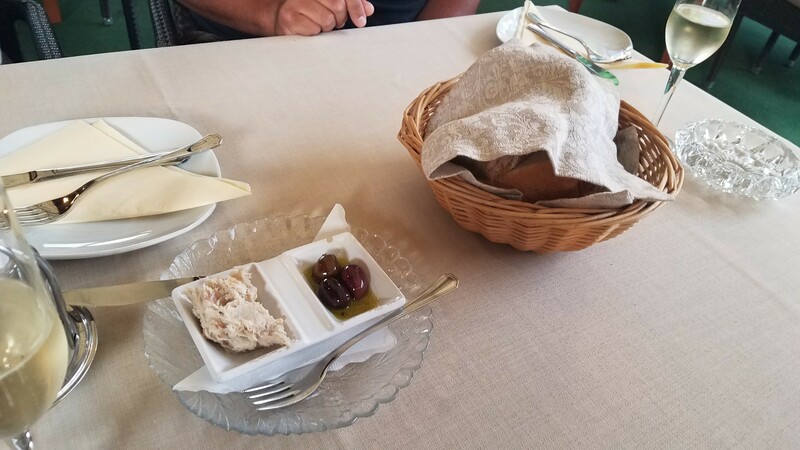 Our server also brought out some fresh bread with pickled olives and bacon dip. After dinner, we walked over to Thirsty River Brewery. Thirsty River Brewery is one of the main breweries in Slovenia. 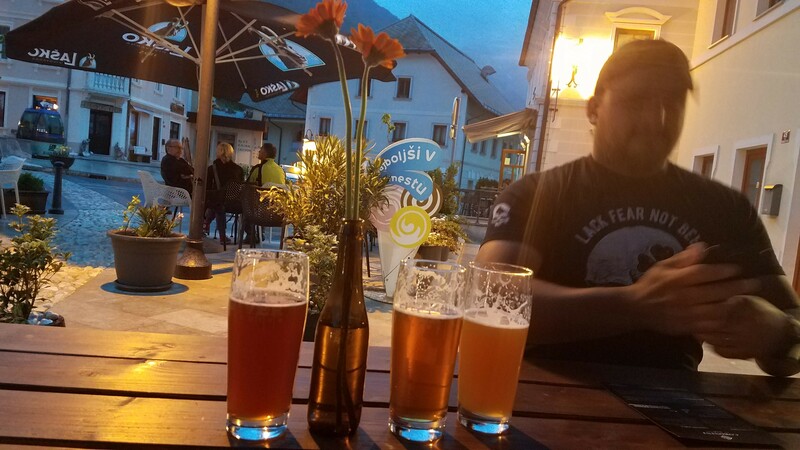 There are 2 mainstream Slovenian beers but were recently bought by Heineken. 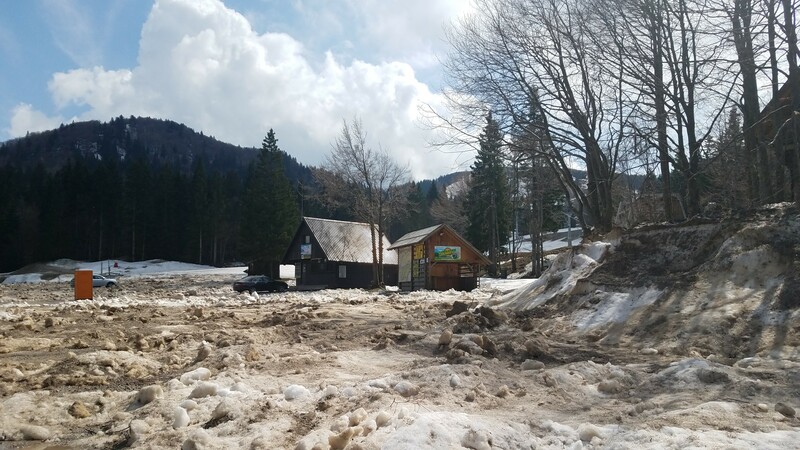 To retaliate, Slovenia started producing their own breweries. We relaxed outside with a pint in our hands. The beers were delicious! Im not sure how much time passed but it started down pouring! we were tucked under an umbrella but we were still getting soaked. We stumbled inside and enjoyed a few more pints before heading back to our apartment. 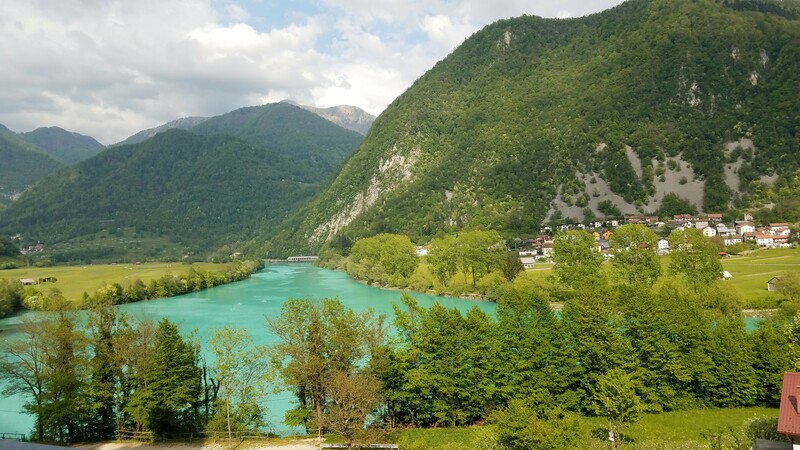 We booked our room about an hour before arriving into Bovec. There were limited rooms left and was thankful that our host still had a house available. The house was huge! I think it had 3 floors with 2 beds in each floor. I lost count since we didn’t use all the beds. The only down side is that none of the rooms had doors. We had to yell that we are coming down to prevent any privacy issues. The house had 1.5 bathrooms. The bathroom downstairs felt like a back house. It was a wooden room with a sliding door. Our host was great. She was the only host that we actually met. She gave us a few food suggestions since we were having issues finding food. She told us that restaurants only open during peak hours…if they’re open at all. That is good to know for next time.